I'm not sure anybody was expecting Alvvays' self-titled debut to blow up the way it did - including the band themselves. Granted, there's context required here: it was critically well-received, some of this was inevitably skewed by them being a Canadian band and we tend to over-promote Canadian acts, and they had a crossover single in 'Marry Me, Archie'. But considering I wouldn't even describe that as one of the better songs from the record, it's still a little bit amazing to me that an act I picked on a whim from Pitchfork turned out to be one of the most textured and layered and yet ridiculously tight indie acts to break out of the 2010s. I'm not kidding about that, either: amazingly sharp melodic hooks, writing that was emotionally balanced and yet colourful and witty enough to back up its storytelling, and a wonderfully expressive frontwoman in Molly Rankin, it led to that debut making my year end list of the best records of 2014 - and if anything, it's only gotten better in my eyes. That said, there was pause for concern surrounding their upcoming sophomore record Antisocialities, mostly as buzz was suggesting it was pivoting in more of a dream pop direction. Now there were hints of this on the debut, but I was never a fan of the band's choice of synths and if they chose to neglect some of the tighter, guitar-driven melodic grooves this could lead to a serious misstep. And the inclusion of John Congleton on production didn't exactly raise my spirits - he's a smart enough producer to get out of the way when necessary, but I wasn't sure how the shift from Chad VanGaalen would connect in capturing that atmosphere. That said, it's not like Temples suffered by a pop-leaning pivot on their second record three years after their first, so maybe Alvvays would stick the landing? Well... okay, here's the thing, I know I've got a really bad habit of following up debuts that I cover on this show by nitpicking the hell out of their follow-ups, and I'm going to try and avoid that here, especially as, just like their first album, I think it's pretty damn great. 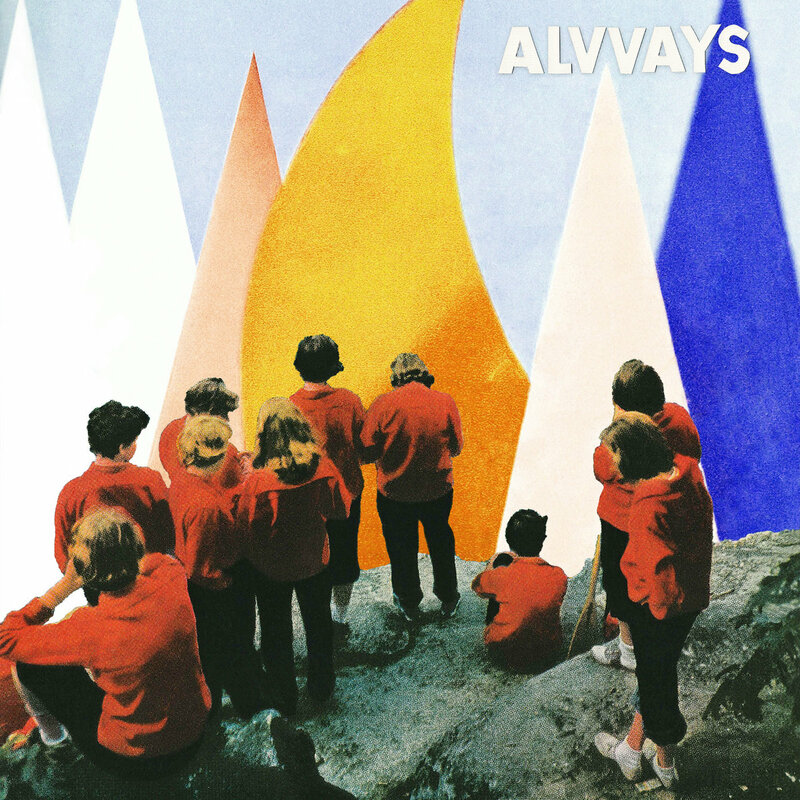 I don't quite think it's better than that first record, but I suspect some of that comes down to my own personal artistic references rather than Alvvays screwing up, because this certainly is a more diverse, colourful, and refined record, showcasing the songcraft that makes this really easy to like. And I do want to stress this: if you're coming off of Alvvays' debut to this, much of what drew you here remains: the guitars are fuzzy with a lot of sharp melodic interplay, the drums are punchy and when they do creep in the drum machines are tastefully blurred in - one benefit to playing on the edge of lo-fi is that said edges can be smoothed over - and the hooks are as sticky as ever, carried on Molly Rankin's expressive voice that comes through cleaner than ever before. Hell, if we're looking at areas where I think this record plays even more to its strengths, I'd say it comes in the vocals and synth production, where Rankin's wry blend of weary sarcasm and genuine emotion is always clean and clear, more to the front of the mix than ever, and many of the synth tones are blended just as carefully. Sure, you get moments that feel a bit atonal like on the opening of 'In Undertow' - a song that might drown itself in its own haze of feedback a bit too much - but is that any different than the jagged pileup of riffs we get on 'Your Type' or the interplay on 'Saved By A Waif', and on the latter case I really do love how full and rich that synthesizer tone can pick up, which fits the cleaner feel of the track. That actually did throw me a little bit, how the fidelity of tones can shift ever so slightly on tracks like the cleaner, early-80s post-punk-inspired tones on 'Hey', but for the most part the synth tones blend effectively and we get the ramshackle lo-fi melancholy of the closing track 'Forget About Life', or the gorgeous interweaving guitars on 'Not My Baby', or just the smoky, fast-paced bounce of 'Lollipop (Ode To Jim)' and 'Plimsoil Punks' that picks up plenty of buzzy groove in the low end. Granted, if i'm being bluntly honest I do wish the basslines came through with a little more prominent texture like their did on their debut - they can't help but feel a bit underwhelming when they're not center stage like on 'Dreams Tonite' or 'Hey' or 'Saved By A Waif', and as good as the melodies are I just wish the groove had a little more fullness to back up all of that atmosphere. But again, that's nitpicking around some otherwise great tones, and while of course none of this is reinventing the wheel, solid melodic progressions, well-timed arpeggiated solos and real texture means I'm already drawn to this material... so let's talk content. Now one of the reasons why the self-titled debut had such power with me was that it was taking a very 'millennial' approach to the formation of new relationships - self-aware and self-deprecating by necessity, but also willing to take the piss out of social constructs that were then embraced without a full understanding of the consequences. Hell, the power of that record came from Rankin so powerfully embodying that character and the cracks seeping through the veneer of self-preservation. Well, if Alvvays was the record where the relationships formed, Antisocialities lives up to its name in watching everything fall apart. Less of a narrative-driven breakup album than a series of vignettes watching human interaction in a tailspin, most of this record is seeing the other symptoms of my generation leap to the forefront to render many of these relationships toxic. Hipster detachment becomes dismissive with no turning back on 'In Undertow', 'Plimsoil Punks' takes irrepressible optimism and shows how suffocating it can be in its shadow, and 'Your Type' shows immature recklessness making the breakup inevitable. But where things get truly interesting comes in the framing, because you can tell the songwriting duo of Rankin and O'Hanley are not letting their narrator off the hook here, because 'Hey' shows her being just as drunk reckless and 'Lollipop (Ode To Jim)' shows her sucked back in to a similar situation, this time with Jim Reid of the Jesus & Mary Chain and highlighting how her attraction to this type appears to span generations. Hell, 'Saved By A Waif' is another hungover revival that shows just how our protagonist could choose to become that manic pixie dream girl in another unstable relationship if only to avoid responsibilities lingering just out of frame. It draws a nice comparison to Lydia Loveless' superb record last year Real, where you can tell she's looking for someone to make it seem real for her and reward that earnestness, but Rankin conveys most of this through subtext in her delivery, not quite having reached the bluntness that made Real cut so deeply. But at the same time, it also means the yearning of 'Dreams Tonite' and the conflicted yet wistful feelings of 'Not My Baby' have resonance, and by recentering the album beneath the overbuilt and often badly constructed condos of Toronto, drunk on cheap wine, it creates the moment where millennial loneliness was about to become the default... except she didn't unplug her phone, opening up that lifeline to invite someone in once more, letting them forget about life together. And what I really appreciate about this record is that the subtext is so fully defined: the maturity is there between the lines, she's entirely aware of everything she's doing with the consequences even more sharply in frame, but that lonely earnestness rings through all the same, with very real emotive power. Now again, I think for me personally I'm not crazy about the vignette style of storytelling - I think I preferred the loose but overall more direct arc of the debut, and I do think 'Already Gone' can feel a little too abstract and listless to mesh with the rest of the writing well... but here's the funny thing: the more I've thought about this record and the more I've processed those thoughts, the more I like and respect it. I'm still not sure it's got quite the same electric cuts that I loved so much off that debut, but man, with a lot of these melodies it gets really damn close. And thus for me, I'm thinking a light 8/10 and certainly a recommendation. If you're a fan of jangling, retro-leaning indie and dream pop that is refreshingly modern in its content, I think you'll dig this a lot - definitely worth your time, check it out.